Offering you a complete choice of products which include leather book mark, book mark and embossed leather bookmark. 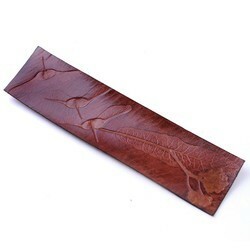 Manufacturer and exporter of Leather Bookmark with white thread side stitched. We are the leading manufacturers and suppliers of the Book Mark. 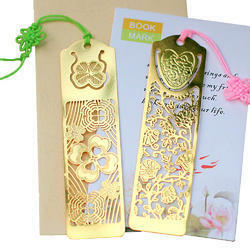 Handmade paper Bookmark with dry flower pasting tied with ribbon available in many design. 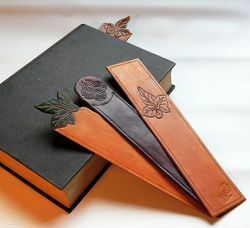 Size Available(In Inches)	 6.5" X 1.5"
Leather Embossed Bookmark,each design will be different and unqiue.